Yesterday was Jenn’s baby shower and I had so much fun! Yummy food, fun games and great people to mingle with. For ‘something they want’, I bought toys: joining links and soft blocks. For ‘something they need’, I bought receiving blankets. For ‘something to wear’, I bought onesies, a cardigan and a super cute bowtie. 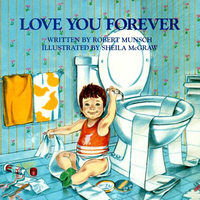 For ‘something to read’, I bought Love You Forever by Robert Munsch. For anyone who hasn’t come across this book, it an adorable (albeit a little creepy towards the end) story about a little boy who makes his way from a baby to a man and his mother who loves him a whole lot. 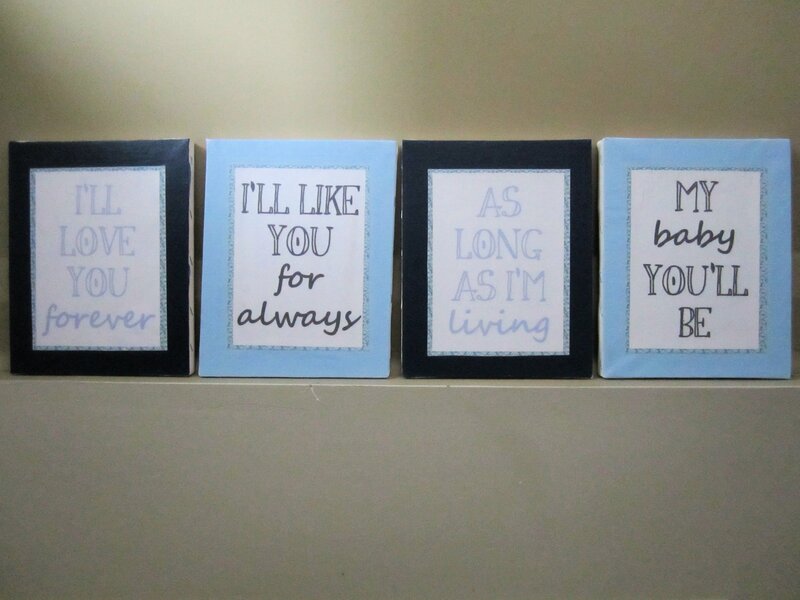 I used these lyrics to DIY some canvas artwork for baby W’s room. 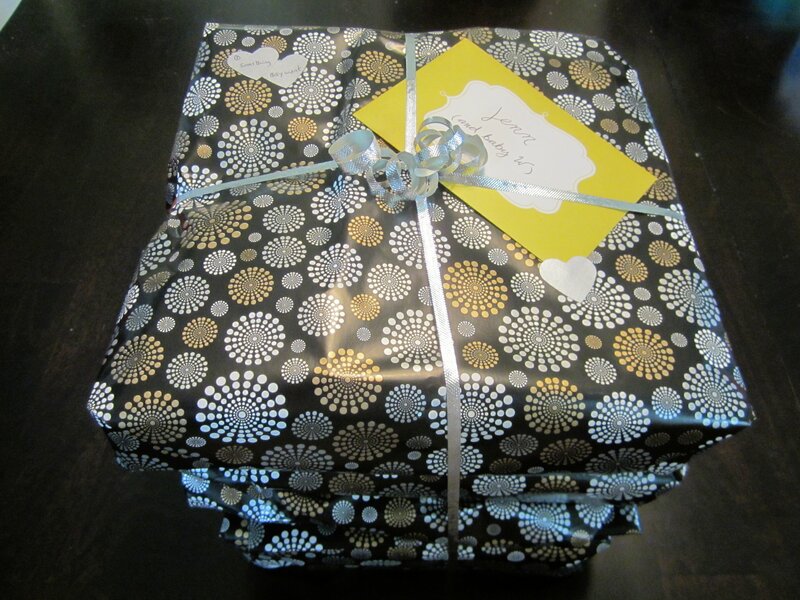 Stay tuned tomorrow for instructions (and free printables!) for this easy and inexpensive project. And for anyone keeping track of Jenn’s pregnancy pics, there will be another one in a few days!